With the Wii U launch only two-and-a-half months away, Nintendo UK has today confirmed details for the Wii U showcase tour. It'll take in 13 events, appearing first at the Eurogamer Expo 2012 and then at a variety of different shopping centres and venues. 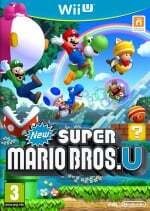 The tour will give you the chance to try out New Super Mario Bros. U, Nintendo Land and ZombiU, at least, and will also give you the chance to play upcoming 3DS titles. We'll let Nintendo give you the full details, below. Nintendo’s Wii U is an HD console that offers more choice and variety of gameplay than ever before, with brand new gaming experiences enabled by the innovative Wii U GamePad controller, whether playing alone or together with friends. The Wii U GamePad offers an integrated second screen and can also be used independently of the TV set with certain software. Nintendo will be touring the country with its revolutionary new home console, giving thousands of people the chance to experience gaming like no other ahead of the console’s launch on the 30th November. Kicking off in London on the 27th September, the Wii U showcase tour will visit a range of shopping centres, gaming expos and events across the UK. 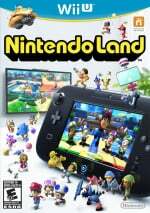 The tour is the perfect place to get hands-on with some of the pre-release Wii U titles and experience first-hand how the new Wii U GamePad controller with 6.2-inch touch screen affects both single and multiplayer games. 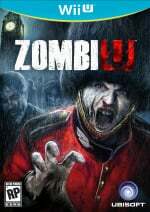 Visitors will get a real feel for what the Wii U has to offer this Christmas with world famous Nintendo franchises like Mario and brand new Wii U exclusives including Nintendo Land and Ubisoft’s ZombiU available to trial. There’ll also be a chance to sample upcoming Nintendo 3DS XL titles before they launch, including the latest Pokémon and Mario adventures. The new Nintendo 3DS XL features a 90% bigger screen offering an even more immersive entertainment experience for all the family. Don’t miss out on a great day out this Christmas, be sure to come down and check out the Wii U showcase tour. Manchester, I suppose! That is still a while away! Awesome, I'll have to get to Braehead in October to have a go. NES - SNES - N64 - Gamecube - Wii - ??? I got tickets for Eurogamer, and thats just the news i've been waiting for. @Pikachews I don't get it?